Wow! The Curiosity rover spacecraft landed on Mars! It's a chemical laboratory that moves around on another planet. It's hard to exaggerate how extraordinary this mission is. It will follow the evidence of Martian water, ultimately looking for signs of life. If evidence of life were found, our view of our world and place among the stars would change forever. There is no other agency, or company, or team on Earth that can land a spacecraft on Mars, let alone one with this many remarkable instruments placed on the surface with such precision. Right now, NASA's Jet Propulsion Laboratory has the only team in the world that can do this. We were on the cusp of one of the most exciting missions ever attempted in space: the collection and return of Martian samples to Earth. There are no longer any missions in support of Martian sample return, not because it's too hard but because of short-sighted budget cuts. We at the Planetary Society are working to change that. 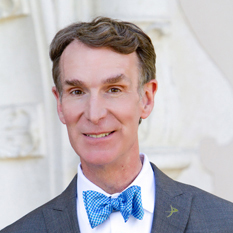 We're organizing our members and advocating for planetary science in the U.S. Congress and Senate. We are working hard to have the NASA budget rebalanced to ensure that missions like Curiosity get built and flown to extraordinary destinations in the Solar System. This kind of exploration may change the world, it must continue. Join us. Together, we can ensure a bright future for space exploration. Let us represent you. Bring the wonder and awe of space exploration into your home or office with these stunning snapshots from space! Our FREE Gift of the solar system is printed in full-color 8"x10" mini-posters. 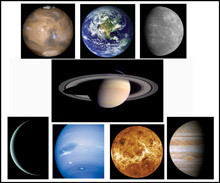 Explore your place in space…the mighty rings of Saturn, the icy-blue of Neptune, the majesty of Mars, a stunning silhouette of Uranus, the mysteries of Mercury, the moody clouds of Jupiter, a radiant Venus, and our magnificent home Earth. Are you a student or senior? Yes, enroll me in AutoRenew and automatically renew my membership each year. You may opt out of AutoRenew anytime. Additional Gift: Enter an additional amount. This amount will be added to your Membership gift level that you have already selected.